#Office365Challenge Nope, didn’t know I could do that in SharePoint. Of course being able to calculate ROUNDUP, ODD, or EVEN values in SharePoint is a great way to save time on reworking data. 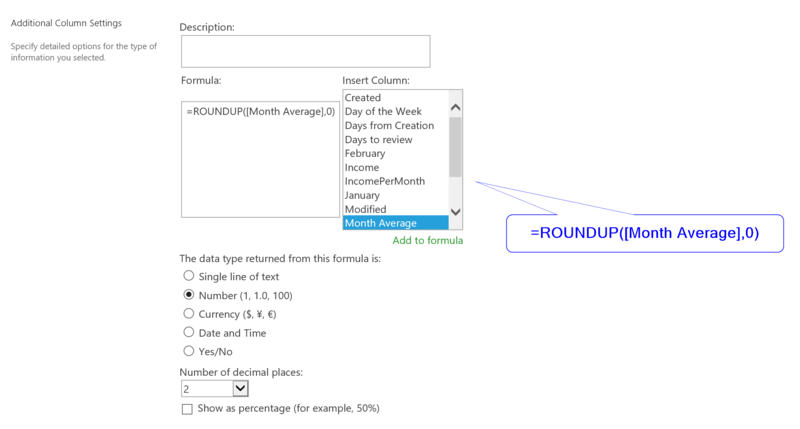 Description: ROUNDUP, ODD, or EVEN function. 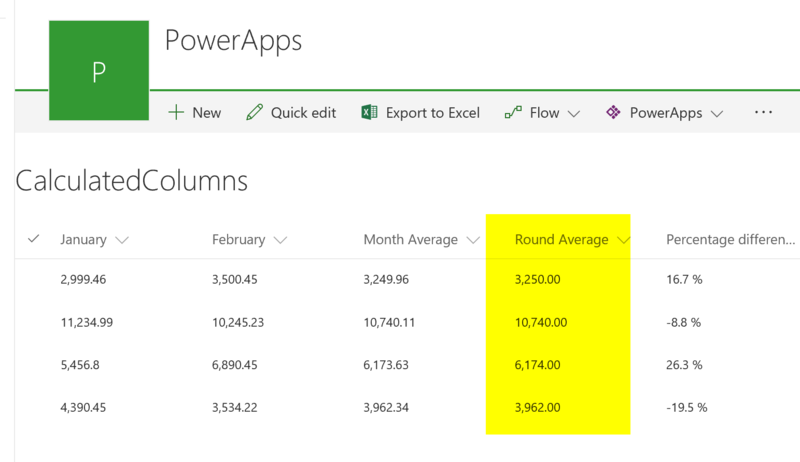 In yesterday’s post we added a column to work out averages. Now as you know – this normally adds some decimals. Today’s post will show you how to ROUND those numbers. Changing this to =ROUNDDOWN([Month Average],1) will of course Round all numbers down.